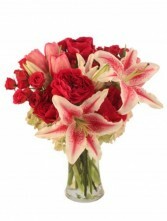 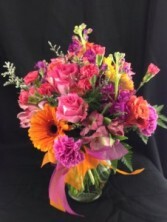 Always in My Thoughts in Milford, PA - Myer The Florist Inc.
Milford FLORIST - Myer The Florist Inc. 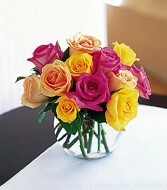 Bright assorted roses in a clear ginger jar. 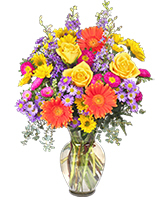 We will accept funeral orders for delivery on Sundays.